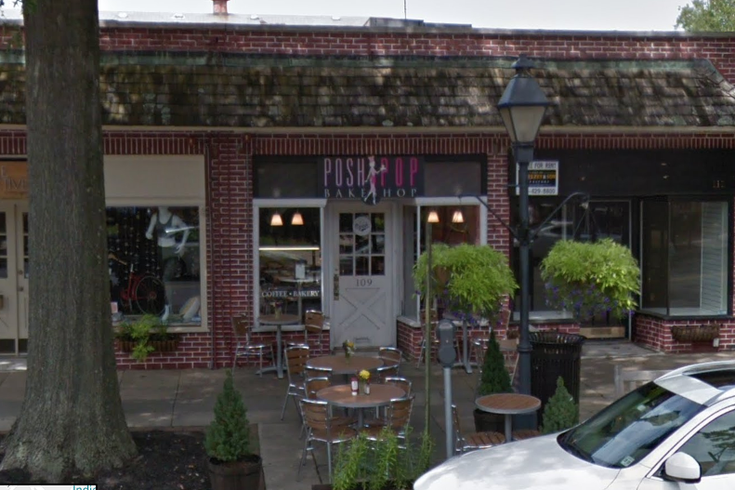 Posh Pop Bakery was located in Haddonfield, NJ, but will relocate to New York City. Gluten free bakery, Posh Pop Bakery in Haddonfield, New Jersey, is leaving the greater Philadelphia area for the Big Apple - and people have not been responding well to the move. The bakery closed abruptly, announcing on Instagram on Jan. 17 they would be moving to a new location, but did not say where it would be. "We have exciting news IG fam! We are MOVING! Our Haddonfield bakery will be closed until we reopen in our new location in February! Just in time for Valentine's Day, and you already know these heart shaped pretzels will be in our menu waiting for you. Who's excited to find out where?!? Stay tuned!" We have EXCITING News IG Fam! We are MOVING! Our Haddonfield bakery will be closed until we reopen in our new location in February! Just in time for Valentines Day and you already know these heart 💗 shaped pretzels will be in our menu waiting for you! Who’s excited to find out where?!? Stay tuned! It wasn't until Jan. 25 the bakery announced their new location would be in New York City. The influx of initial Instagram comments were predominately negative from South Jersey and Philadelphian customers upset of the sudden move. These comments have since been removed from the bakery's Instagram account. We reached out to Posh Pop Bakery for a comment and have not received one as of yet. We will update the story once a statement has been given. But for those fretting about where to go now, don't worry! Here's a look at all the gluten free bakeries in the area. For those in South Jersey (and Philly), you may also enjoy Sweetopia in Newport, DE which boasts gluten free and nut free desserts, perfect those with all kinds of allergies. One reviewer on Yelp says, “You can NOT tell these desserts are gluten free.” Sweet Megan Bakery is a gluten free wholesaler that sells edible cookie dough and cookie sandwiches. Several stores in the area carry it, such as Shoprite in Marlton, Cherry Hill, and Mt. Laurel. Check the full list here. Finally, Wawa will carry their chocolate chip cookie dough "on the go" starting Feb. 11.